The Peter Pan Resort is a comfortable accommodation of Trad’s second biggest island Koh Kood. Peter Pan Koh Kood offer beach front villas with private Jacuzzi pool on Ko Kut Island in Thailand. 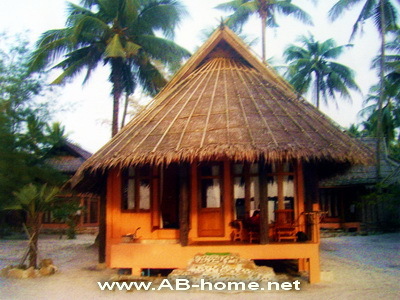 This Resort is very popular for romantic honeymoon, vacations and beach holidays in east Thailand. Peter Pan Resort Koh Kood is on the west coast of the island which promise beautiful sunsets which you can watch from your Jacuzzi in a private atmosphere. The Restaurant of Peter Pan is on a cozy river. From there you can watch the rain forest and the evergreen mountains on Koh Kut. This Hotel is a good Thailand Hotel deal for family holidays on a tropical and lonely beach in Southeast Asia. The friendly staff of the Peter Pan Resort will help you to find the right activity on this beautiful island in the Gulf of Thailand. For Koh Kood Hotel booking and reservation click here.